Her visit coincides with Men's Fashion Week. It's been almost two years since Kim Kardashian was robbed at gunpoint in Paris during Fashion Week. Back in October 2016, Kim was in the French capital with members of her family. While home without security, the robbers, dressed as police officers, gained entry to her apartment and held Kim at gunpoint before tying her up and putting her in the bathtub. They then took off with millions of dollars worth of jewellery. Although Paris had become one of Kim's favourite locations – she even once flew to the city just to eat a slice of her favourite cheesecake while pregnant – she hasn't returned since 2016. 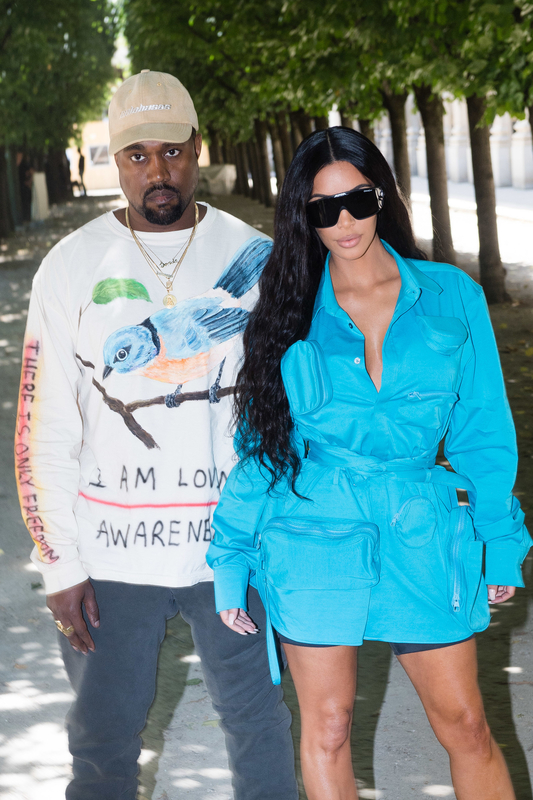 However, Kim is now back in Paris for the first time since the robbery, arriving at the Louis Vuitton show for Men's Fashion Week alongside husband, Kanye West. Kim first dropped hints that she was back in Paris on her Instagram story, when she uploaded a breakfast of croissants with the caption "bonjour". This was followed by a picture of the sunrise during a flight, presumably from LA to Paris. And then two pictures of the Eiffel Tower. Kylie has also joined Kim and Kanye in Paris, having been supporting her boyfriend and baby daddy, Travis Scott, in Cannes the night before.